After averaging triple doubles the last two seasons, NBA MVP Russell Westbrook has gotten off to a slightly slower start – by his standards – this season, to the tune of 25.3 points, 8.8 assists, and 8.5 rebounds per game. Unfortunately, his play has not exactly spelled success for the Thunder, as they have slowly come out of the gate with an 8-8 record good enough for number eight in the utterly loaded Western Conference. 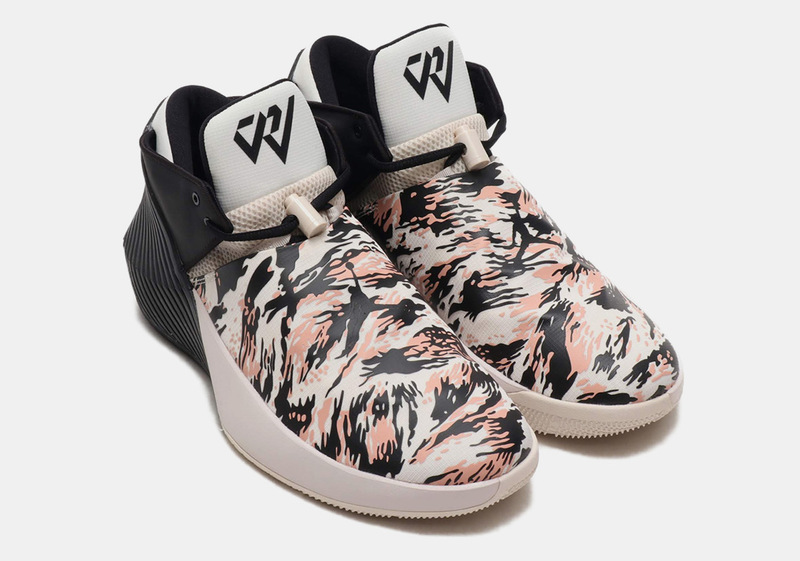 Still somewhat of a figure head for the Jordan Brand, Westbrook’s signature line of Jumpman footwear continues to roll on as a camouflage-ridden colorway of the Jordan Why Not Zer0.1 Low is starting to arrive at retailers overseas. Dressed in a fall-friendly combo of Phantom and Coral Stardust, its camo print interacts with a light-colored ripstop upper with a matching black forefoot Jumpman on top. Sneak a peak at a detailed set of imagery below and look forward to their Stateside arrival in the coming weeks.